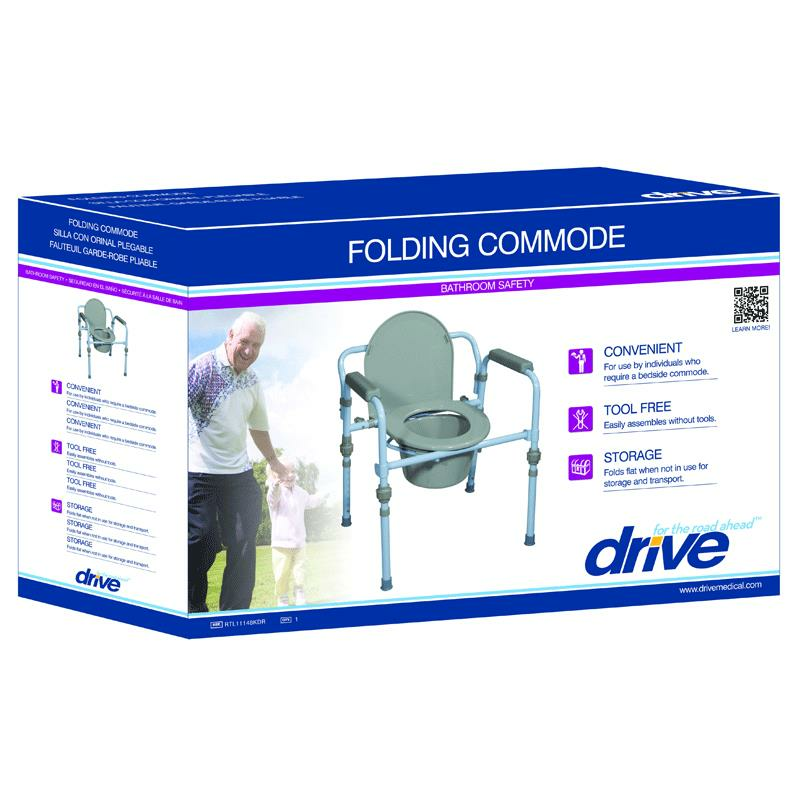 Drive Folding Steel Commode easily opens and folds. 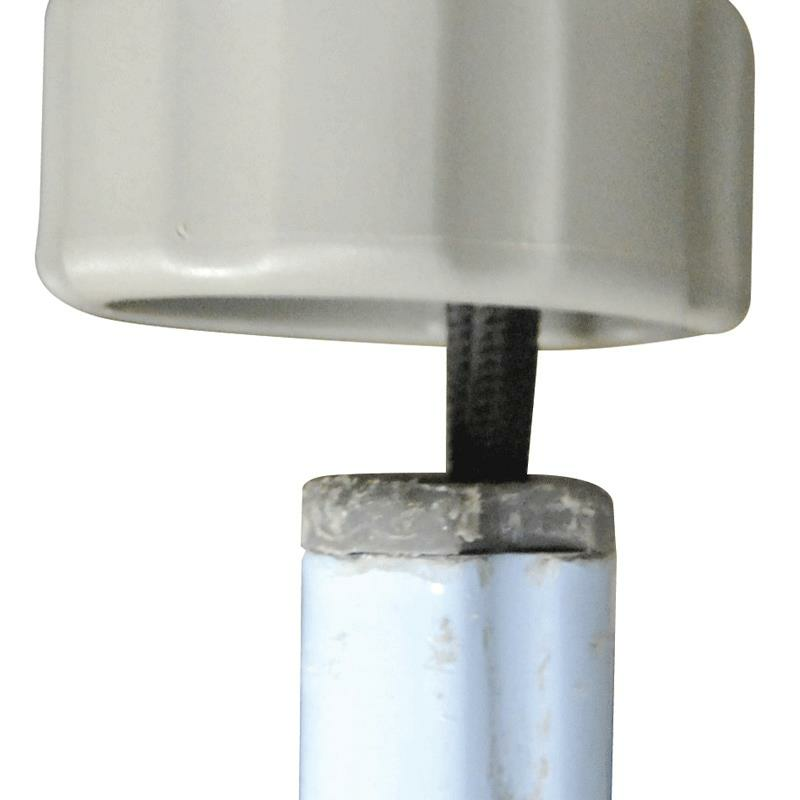 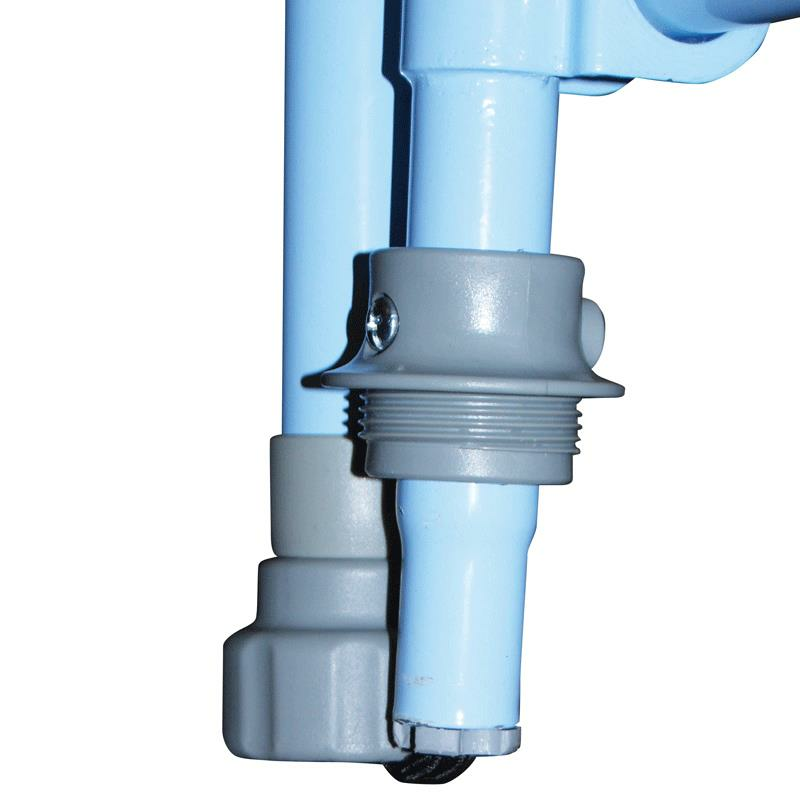 The blue powder coated steel welded construction increases strength and durability. 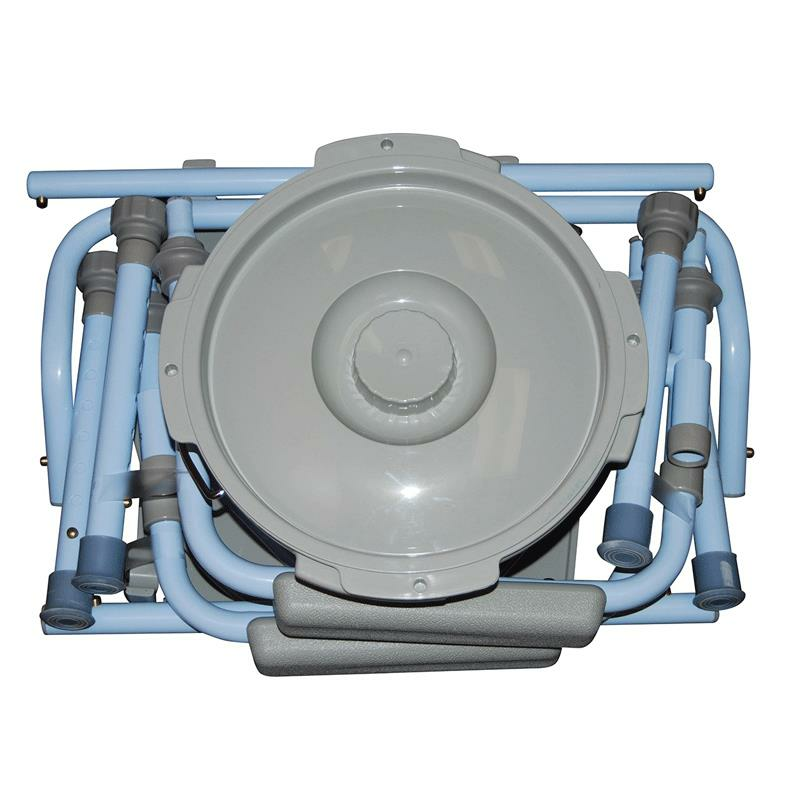 It comes complete with 7.5 quart commode bucket with carry handle, cover and splash shield. 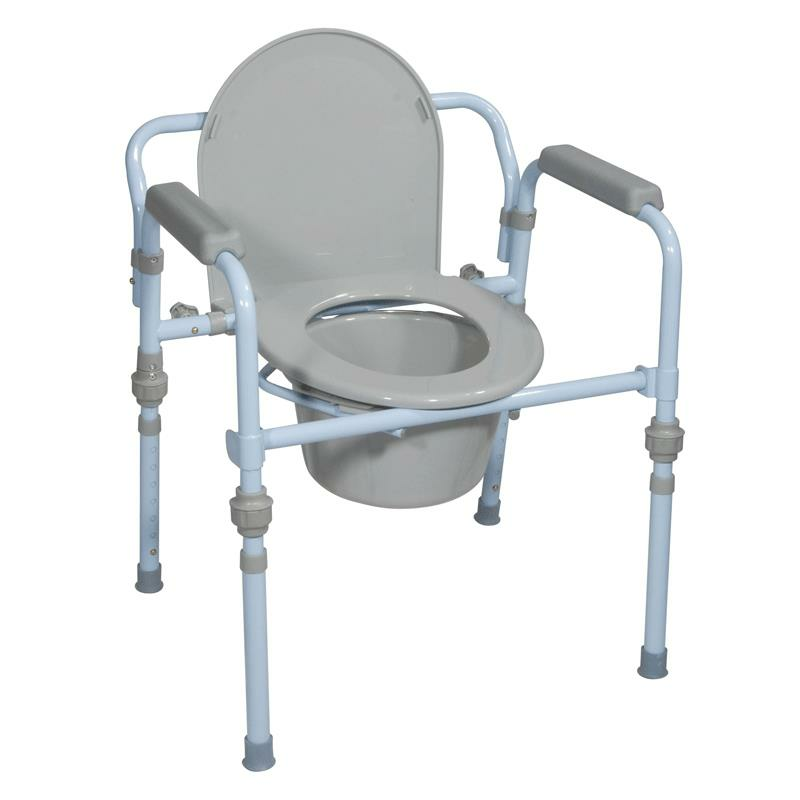 Great solution for those who need a portable or easily storable commode.